Due to be introduced in 2018, it will honour someone who's excelled over the year or is recognised for a lifetime achievement in the automotive industry. And the World Green Car Award is now to become the World Car Innovation of the Year in 2019. That is to reflect the level of change in the business: electric powertrains, autonomous driving, connectivity and safety systems etc. Meantime, the awards are joined by Gordon Murray and Shiro Nakamura. South-African born Murray is well-known as a designer of Grand Prix-winning F1 cars and the man behind the phenomenal McLaren F1 road car. Mr Nakamura was appointed by Carlos Ghosn to revitalise Nissan design until he retired in early 2017. Exciting times indeed. 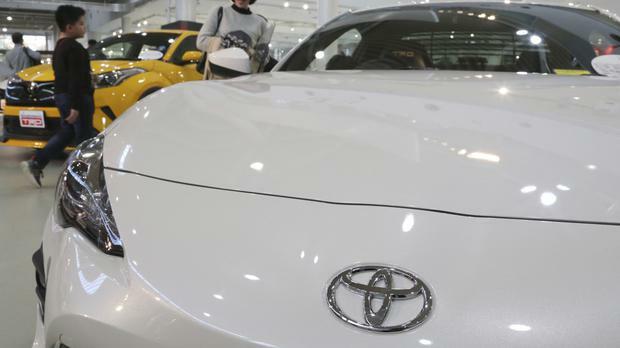 * Toyota is certainly immersing itself quite dramatically in the electric car race. It announced on Monday that it is planning to introduce more than 10 electric vehicles across the world by the early 2020s. The scale of that ambition can be gauged by the fact it doesn't have one 'pure' electric commercially manufactured car at the moment. The first market to get the new EV will be China, which will be followed, gradually, by Japan, India, the US and Europe. Under the plan, it expects to be selling more than 10 different BEVs (battery-powered models) worldwide by the early 2020s and electrified versions of every model in the Toyota and Lexus line-ups by 2025. It also has plans to sell around 5.5 million conventional petrol-electric hybrids, plug-in hybrids, EVs and hydrogen fuel cell vehicles by 2030. It remains heavily committed to the fuel cell concept and expects to be in a position to sell one million EVs or fuel cell vehicles alone a year. * Suzuki has announced Agnelli Motor Park is a new franchise for it in Dublin. The state-of-the-art 128sq/m, six-car showroom on Greenhills Road is the fourth Suzuki retail location in the city. * BMW is to build a test track for self-driving and electric cars in the Czech Republic.